In April of 2017, the FXC Intelligence team spoke with Bill Barhydt, the CEO of Abra. Of the many topics covered with Bill, one critical topic we discussed was blockchain and bitcoin and the impact it may have on the international payments world. To Bill, blockchain and bitcoin will be instrumental in the future of international payments, as the technology allows financial transactions to take place almost instantaneously. 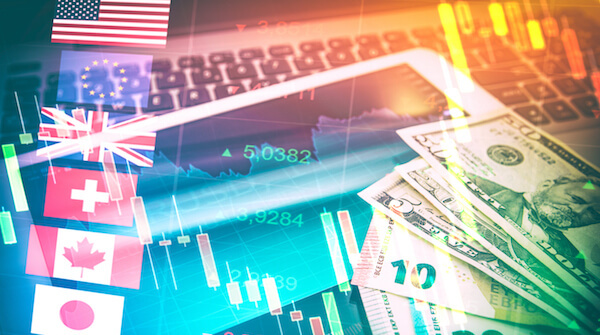 As the international payments industry grows, regulation has increasingly become an issue for providers looking to expand. Bitcoin and blockchain allow financial companies to move money quickly and cheaply. The potential surrounding blockchain for the international payments industry is already being recognized by many. In both South Korea and Vietnam, government leaders have begun to propose legislation to more easily enable transactions via blockchain. Japan is also seeing a large uptick in blockchain transactions, specifically with bitcoin. In turn, this has made the crypto currency quite valuable and many see great potential for blockchains in the future of international payments. One complication that is sure to arise for the many companies embracing block chain is international money transfer regulations. With Bitcoin, in particular, it is notoriously challenging to locate users, making it a prime currencies for those dealing in illegal transactions. It is possible that this will limit the adoption of bitcoin by some financial companies, even if bitcoin does seem to provide a fast and easy international payments system for its users. What is Bitcoin? Bitcoin (BTC, XBT, or B⃦) is an online payment system and the first completely digital currency. A single unit of the currency is referred to as one bitcoin. The idea behind Bitcoin, that of creating a peer-to-peer electronic cash system was developed by an anonymous individual or collective working under the name Satoshi Nakamoto and published in a paper in 2008. The system was then released as open-source software in early 2009 and on January 12, 2009, the first Bitcoin transaction took place. The first Bitcoin marketplace was established in early 2010 and numerous Bitcoin markets have been established since. Bitcoin is a cryptocurrency, meaning it uses cryptography to manage and secure transactions, as well as to control the creation of new bitcoins. It operates on a decentralized peer-to-peer (P2P) network, which allows users to make transactions directly and immediately, without the use of an intermediary, such as a bank or other financial institution. This means that Bitcoin transactions are not governed by any central bank, and no single country or government has the power to influence whether its value increases or decreases. In response to the growing popularity of Bitcoin and other digital currencies, several countries, including the UK and the US, have begun outlining regulatory frameworks to govern transactions made through Bitcoin exchanges. All transactions are verified by the blockchain, which is a public record of every Bitcoin transaction in chronological order, beginning with the Genesis block. An innovative solution to prevent the double spending of bitcoins and verify transactions without relying on a central financial institution, the blockchain acts as a public ledger and is maintained by an extensive network of communicating nodes, or connection points, that run Bitcoin software. The blockchain is a distributed database, meaning it is dispersed across a network of interconnected computers. New bitcoins can be purchased or earned through a process known as bitcoin mining. Bitcoin miners are individuals or groups who lend their computing power to solve complex mathematical problems, adding to the bitcoin network and recording transactions in the blockchain; the computing systems of Bitcoin miners make up the distributed database that stores and updates the blockchain. As the network grows more complex with time, bitcoin mining requires increasingly powerful computing systems. Bitcoins are stored in a Bitcoin wallet, which holds and secures an individual’s private keys. These are the unique pieces of data containing cryptographic signatures that verify bitcoin transactions and allow the owner to spend them. Bitcoin is a tradable currency and bitcoin to USD is the most common Bitcoin exchange. Individuals are able to transfer Bitcoins to one another using mobile apps or through their computers, very similar to other digital payments services.